No more Arabic numerals! | Keep Arabic numerals out of our schools! Keep Arabic numerals out of our schools! Why are our children being forced to learn Arabic numerals? Most parents are unaware that children today are being forced to learn Arabic numerals as part of the common core curriculum! With our public schools struggling to stretch scarce funding to educate our children, why should resources be squandered on indoctrinating youth with these foreign, fundamentalist digits? These are public funds being directed towards radicalizing our children’s basic math skills and it must stop! Stop out-of-control government interference in our schools! The common core curriculum expressly advocates the teaching of Arabic numerals to our children as a cornerstone of their education. This is another extreme overreach of the federal government to impose their politically-correct, liberal values on a generation of future Americans. 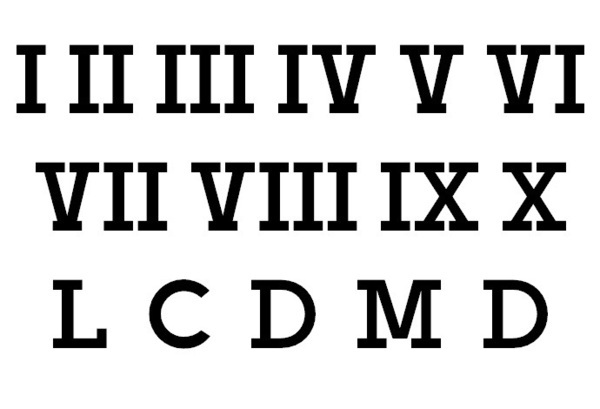 Elitist educators will try to tell you that Roman numerals are still taught in addition to Arabic numerals. But this is mere lip-service to the Christian heritage of this great nation since math skills from basic arithmetic through advanced calculus all still rely on Arabic numerals! It is time to get the federal government and their covert muslim agenda out of our schools. Did you know that every single executive order that President Barack Hussein Obama signed were numbered using Arabic numerals? What kind of message does this send our children when they see leaders embracing a radical, foreign, extremist numbering system? Apologist academics argue that Arabic numerals are a superior system of numbering and have nothing to do with a radical, jihadist political agenda. What they don't tell you is that the history of Arabic numerals is steeped in violence and conquest! Arabic numerals were brought from north Africa to Europe in the middle ages during the Muslim conquest of Spain! Indeed Arabic numerals were taught by the sword and many brave Spaniards died trying to resist this foreign number writing system. Why should we endanger our children today by exposing them to these numbers born of violence and the blood of Christian martyrs? Good, God-fearing, Christian parents can not allow these foreign influences to be forced upon America's children any longer. If Arab immigrants want to teach their children Arabic numerals and use them in their own home, that is of course their right. And as Americans, who are welcoming and not at all xenophobic, we accept this. However it is NOT okay for them to use Arabic numerals in plain sight of our American children, giving them the idea that a decimal-based counting system is acceptable. These offensive, foreign influences have no place in the classroom and we will no longer suffer the persecution of our American values for the sake of this foreign numbering system. Send us your feedback on how we can improve this page and better spread the word about this seditious Islamic indoctrination happening in our schools. Think globally, act locally! Believe it or not, Arabic numerals are being taught in EVERY school in our nation. Contact your local school board and make your outrage known! Extremist, Arabic values can be found everywhere! "Zero” comes from the Arabic word “ṣifr” meaning “empty.” Try more patriotic terms such as naught, aught, nil, or zilch. Your computer is certainly using any number of algorithms. "Algorithm” is derived from the name “al-Khwārizmī”, a radical Iranian mathematician! There are many alternatives to the un-American Arabic numeral system. We at freedonnumerals.com advocate Roman numerals due to their use in the Latin language i.e. what Jesus spoke and the language of the early Christian church. A time-tested paleo-AMERICAN numbering system. Although oriental, these counting sticks are not extremist. Only by sharing this message can we stop the use of Arabic numerals!